All Presidio Of Lost Creek homes currently listed for sale in Boerne as of 04/18/2019 are shown below. You can change the search criteria at any time by pressing the 'Change Search' button below. "Don't miss this charming, well kept home conveniently located in Leon Springs, great family neighborhood. Open floor plan offers spacious rooms. Living room has gorgeous wood laminate floors for easy upkeep. Kitchen is one of a kind w/ plenty of cabinet space to go around. Huge game room upstairs for a growing family! Create your own oasis in your master bedroom w/ beautiful ceilings, walk in closet, & garden tub. Look at that backyard! Customized back yard with a covered deck. 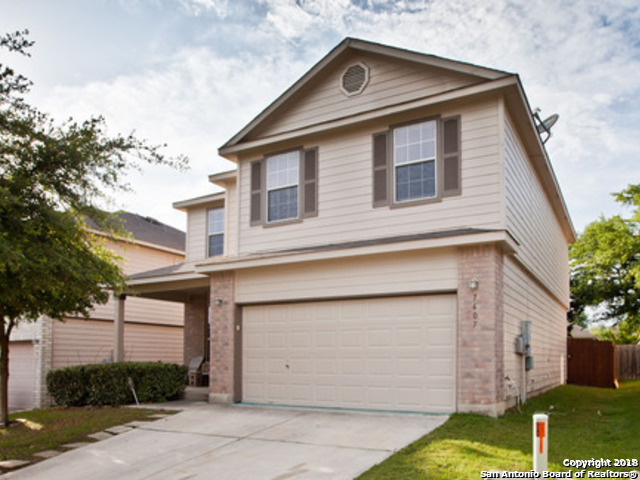 Perfect for the s"
"This 4 bedroom home is set with access to San Antonio or Boerne within minutes. Not only will you enjoy the open floorplan with the flex space downstairs, everyone will have their own space in the gameroom upstairs. The home faces north so hot afternoon sun will not be a concern. Located on a hill with covered patios in the front and backyard, spending time outside in under the shade of the mature trees might become a favorite pastime. Appliances and water heater are new in 2018. Bonus storage s"
"Recently updated home in a great location! You will love the wood look porcelain tile flooring thru out downstairs! Recently painted! Neutral colors. Brand new a/c unit. Brand new water heater. Powder room has new toilet, free standing sink & mirror. Spacious private backyard with mature trees & covered patio to entertain! Highly Acclaimed Northside Schools. Newly sodded yard."